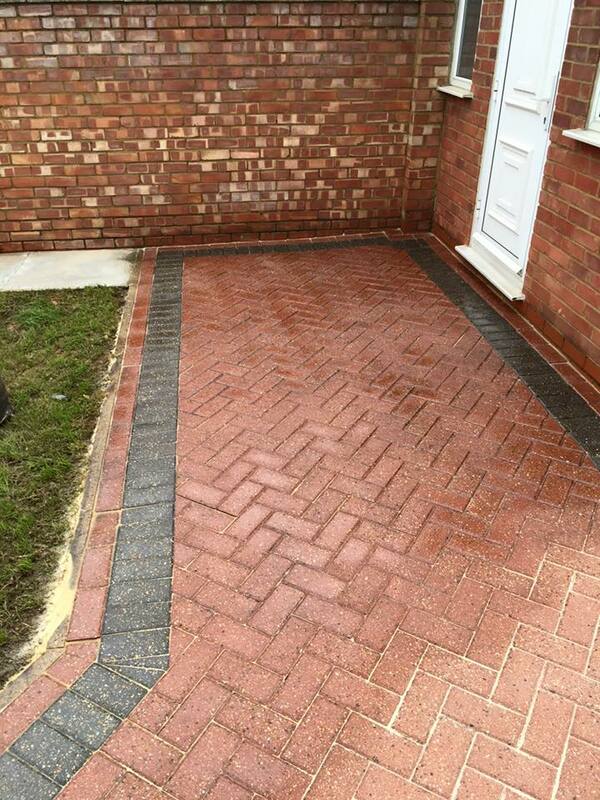 We have a four step process when restoring block paving. 1. 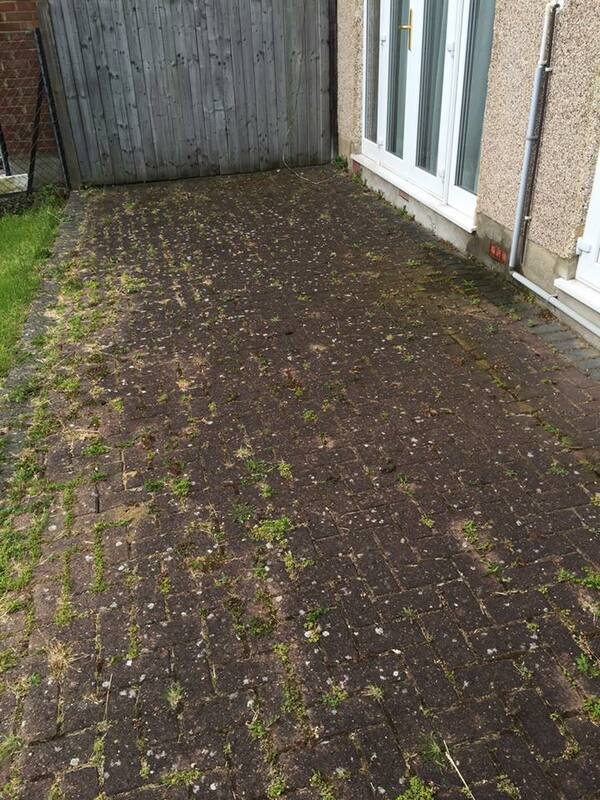 First we treat the area with a strong weed killer at least 24 hours before jet washing the blocks. This kills any weeds that are in between the blocks. 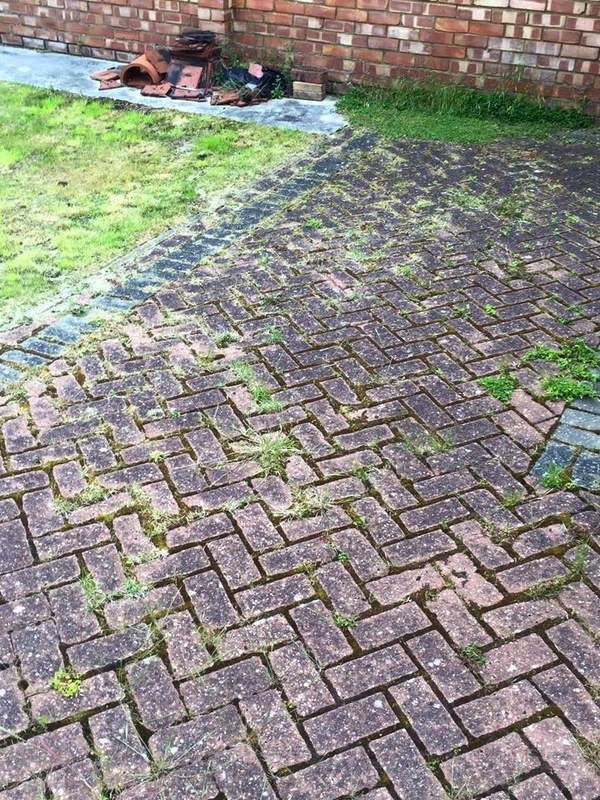 2. then we return to high pressure clean the blocks using only water unless there are stubborn black spots or green algae stains which will not come off, if so we have to add an additional chemical treatment after the initial clean and then jet wash after the chemicals have killed all living growth. When jet washing the block paving we make sure to clean deep in between the joints removing all dirt and weed roots from the paving . 3.The next step which has to be completed once the block paving is fully dry (usually a couple days after the pressure washing (weather permitting) is to re-sand the block paving which involves sweeping kiln dried sand into the joints with a soft brush .The customer has the option of requesting a whacker plate treatment if required which can help vibrate sand deep into any holes between the joints . 4.Brush the surface sand off the blocks and apply a sealer with our industrial sprayers. The customer has the choice of a matt , silk or gloss finish. The matt being a natural look and the gloss leaving a ‘wet look’. 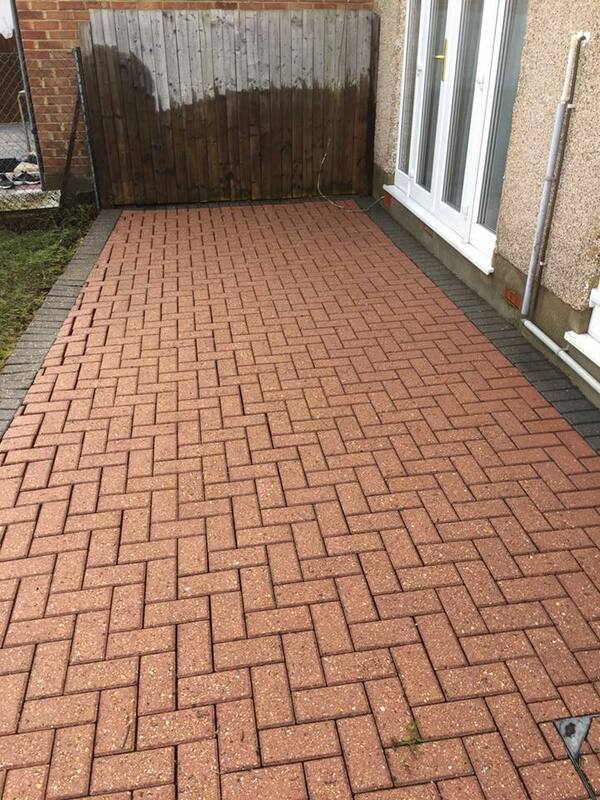 The main benefits of applying a sealer to block paving are that it increases the lifespan of the paving as it is a oil and water resistant coating that sits on top of the blocks . the sealer also makes the jointing sand go hard so helps to inhibit weed growth. We generally use smartseal sealers as we are registered installers for their products, they are a market leading company in sealers and driveway restoring products. 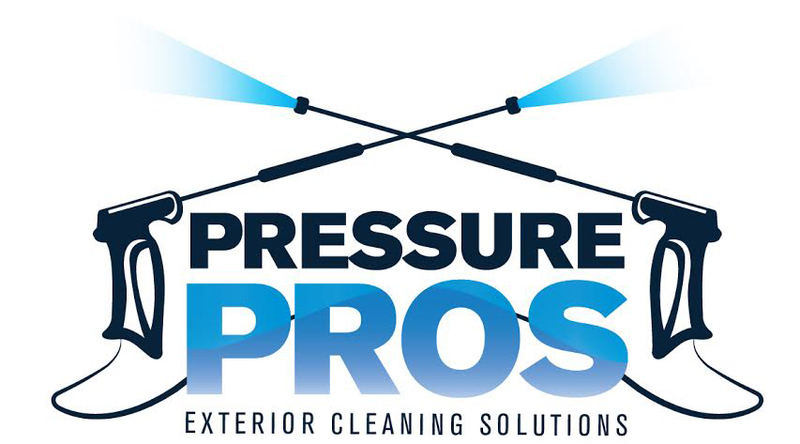 We are also happy to use other sealers or cheaper alternative sealers if the customer has a preference.